A quickie post today, thanks for stopping!! Very nice, Edgar. Now I will need to google that as I must see the finished block. 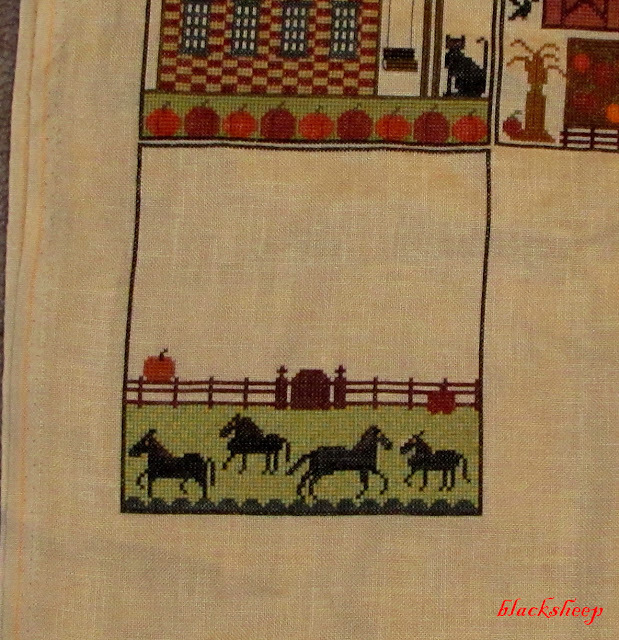 DS GF is an avid horse lover so I am always on the lookout for stitching gift that she might like. It looks wonderful so far. I'm looking forward to seeing that house that goes with that cute fence. You are making great progress Edgar. This one just takes time and patience! Nice progress! I have been enjoying seeing this big project unfold. Dearest Edgar: This is so vintage looking and such pretty colors. Christmas is on it's way...... jingle, jingle jingle!!! !